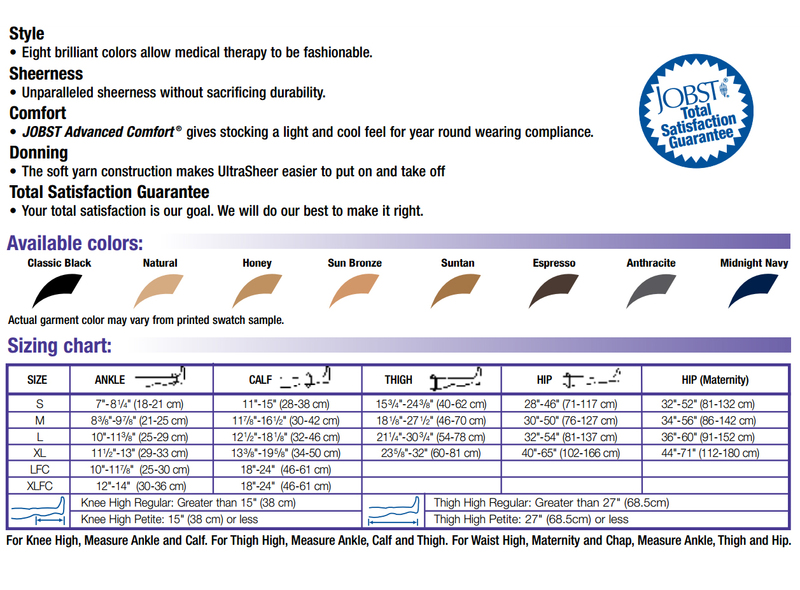 Jobst Ultrasheer knee high stockings provide the perfect combination of fashion and comfort. 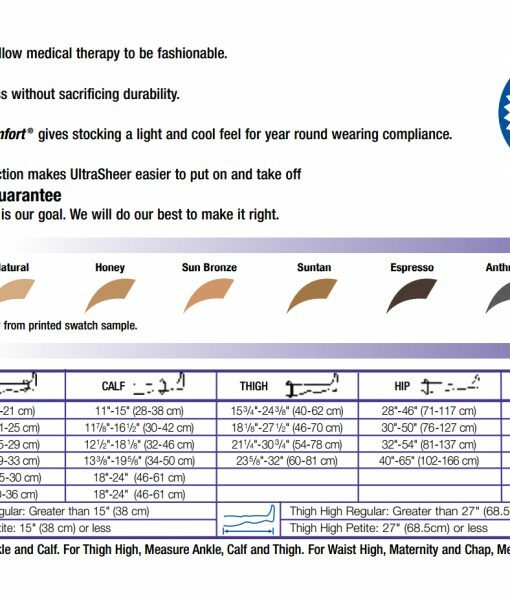 Features include a wide comfortable top band, sheer heel, and reinforced closed toe. 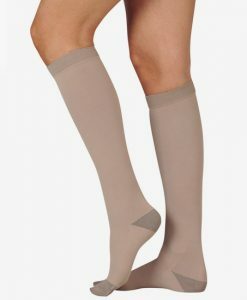 This stocking provides 8-15mmHg of gradient compression which serves as a preventative measure to maintain general leg health and helps improve blood flow.